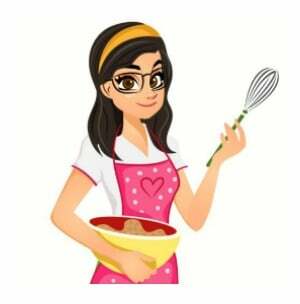 Hi, I’m so glad to be back here at The Melrose Family today with another delicious recipe for you all! Today’s recipe is for Ropa vieja which is spanish for old clothes. Can you see why this dish is called that? It does kind of resemble a pile of “old clothes” right? 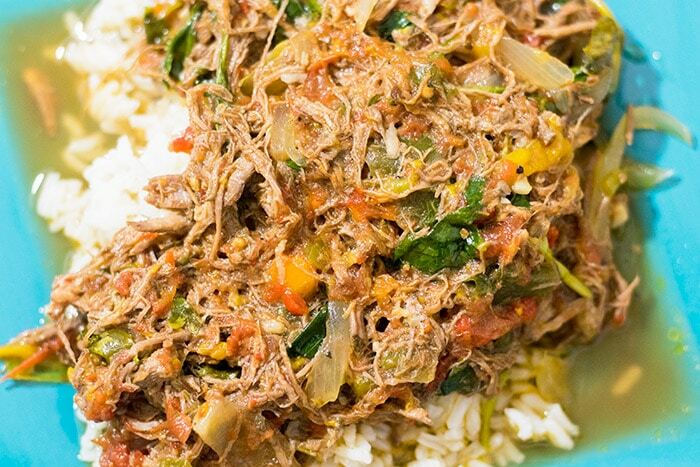 Ropa vieja is a Cuban dish that is served with rice. Fried plantains also called tostones make a delicious side dish to this meal. Unfortunately I wasn’t able to find plantains at my local groceries. I really love slow cooker recipes! As a stay at home mom with two young kids I prefer recipes that are mostly hands off. Especially right now that my oldest is on Fall break. This recipe also makes enough for leftovers the next day! This amazing cuban dish is made of all of my favorite ingredients Beef, peppers, onion and garlic! I’m in love with bell peppers. Not only are they yummy but they’re also incredibly beautiful! The peppers along with carrots, canned whole tomatoes and cilantro give the dish a variety of colors which help to make it look like a pile of “old clothes”. Before putting the beef in the slow cooker I cut it into pieces and seasoned it well with salt and pepper and seared it in my cast iron skillet until nice and brown. I like the crust and the flavor that this step gives but honestly if you don’t have time you can totally skip the searing. In my slow cooker it took about 7 hours to cook and that was on low. After a few hours my home was filled with the most amazingly delicious aroma. It was so hard not to eat it before photographing it! If you really like slow cooker recipes then you should definitely check out my slow cooker pepper steak and rice. I love beef and bell peppers together. There’s nothing better! 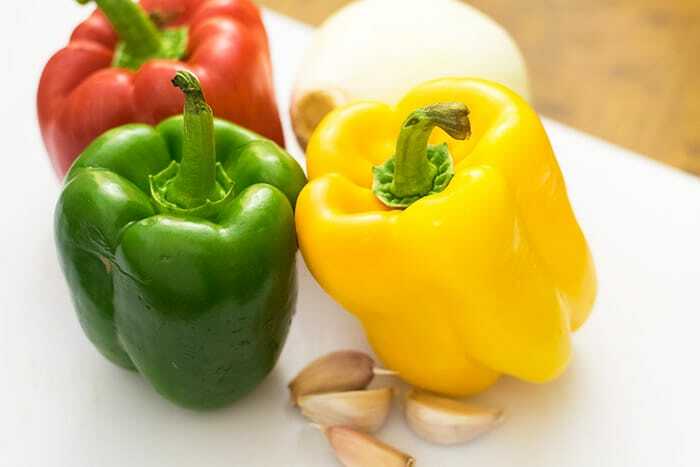 Speaking of bell peppers I also have an awesome stuffed bell peppers recipe for you! After the ropa vieja is done cooking I stir in the cilantro. I used one whole bunch of cilantro because we really love cilantro but you can always use less. Or you can omit it completely, I know that there are some people who can’t stand cilantro. 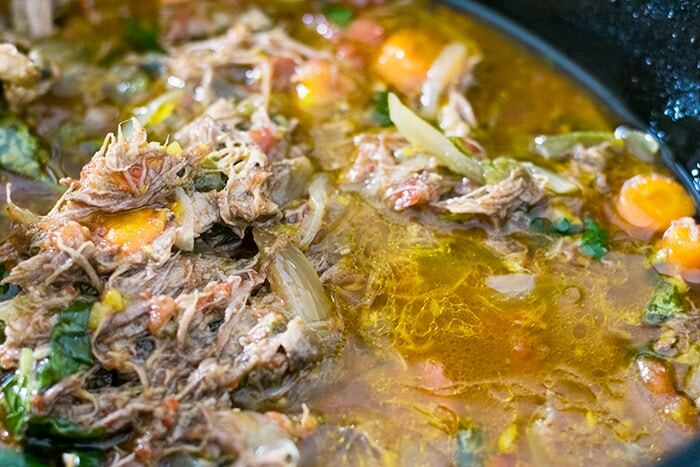 I hope you enjoyed this post and hopefully I’ve inspired you to make ropa vieja. I know you’ll love it! Thanks for reading! A delicious slow cooker Cuban dish. Sear the meat on all sides until browned. Transfer meat to the slow cooker. Add the carrots, bell peppers, onion, garlic, adobo, salt, cumin, cayenne pepper, oregano, vinegar,tomatoes and water to the slow cooker. Set to low for 7-8 hours. It will be done when the meat is tender and shreds apart easily with fork. Taste and season with more salt and pepper if you like. Add the cilantro to the slow cooker and stir until it is well incorporated. 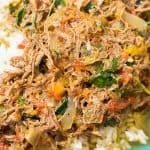 Serve ropa vieja over rice. Refrigerate any leftovers when cool.